Considering that Internet is just 30 years old, we’ve come a long way from where we began. Back in the 80’s when TCP/IP protocol became started and the online communication started that is still used today, the computer monitors and chunky keyboards were the first to replace the typewriters. Both Macintosh and and Compaq were the first of its kind personal computers which had applications like word processing and spreadsheets which replaced the journals and calculators from our desk. From there, the evolution started and everything started becoming compact, sleek, and minimal. Printers became wireless and multi-functional, phones became cordless and the old schools items like globe, dictionary, and storage boxes got replaced by Google Maps, Dictionary.com, and Dropbox. The work desks today have become ergonomic from office chairs to sit-stand desks and the future looks very promising with your axis becoming more vertical and horizontal. 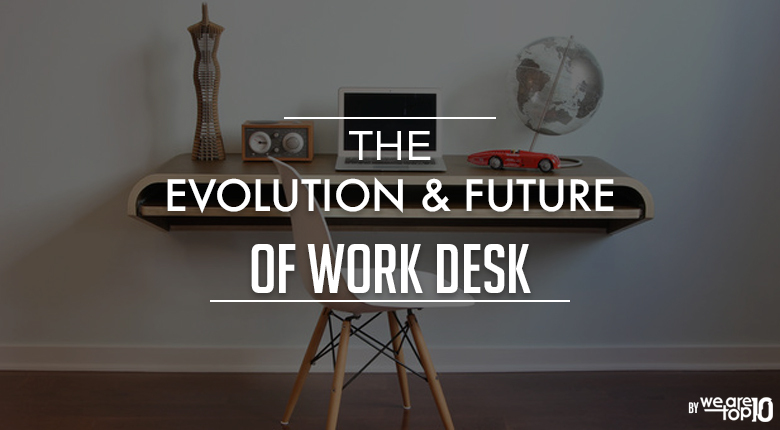 Check out the Infographic below and take a look at the desk’s evolution: from the days of the Class Macintosh to the trendy era of treadmill desks. Feel free to embed this infographic on your website or blog using the embed code below this infographic. What a Mom Really Want for Mother's Day?